I have a 1995 z28. Everything looks right expect some wires look to be cut or rewired. How would i be able to tell if i have a 1995 lt1? It has the fuel line across the top of the intake. I has a vented optispark. What else could i look for to tell me its the original engine? Re: How would i know if the previous owner swapped out the engine? 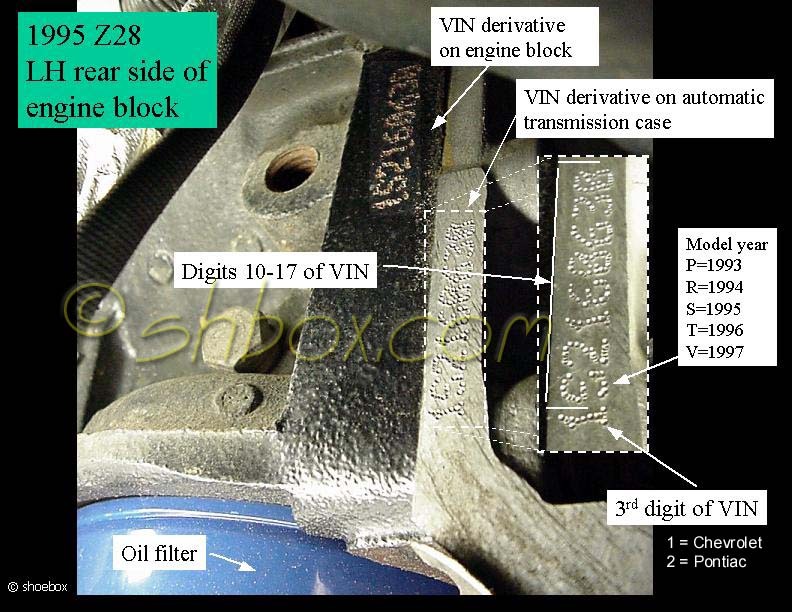 You can look a the VIN stamp on the engine for a match to the body. Thanks. Should have went to your web site first. Ive got tons of useful info on there. Quick Reply: How would i know if the previous owner swapped out the engine?